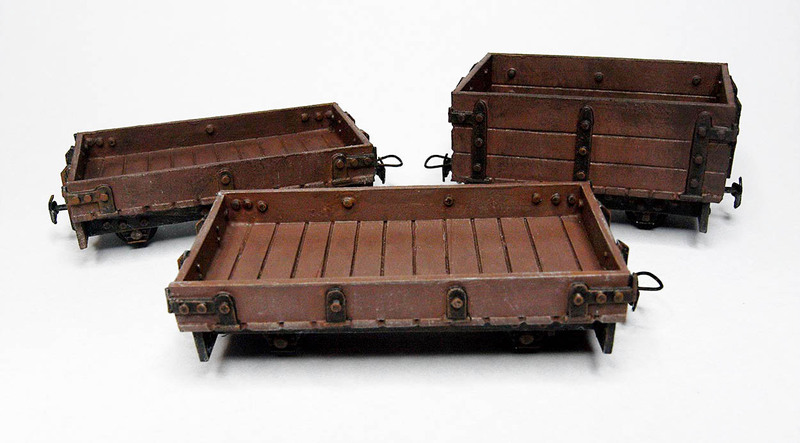 … and the wagons are brown. Humbrol German Camouflage (160) to be precise. I do like the colour. In fact, I got so excited by the warm, red-brown I forgot to photograph them before I weathered them! All three wagons are the same colour. One appears to be lighter because it has received less weathering with Citadel ‘Stirland Mud’ and a bit more Citadel ‘Ulthuan Grey’. If you are interested you can follow how I made them here (you’ll need to scroll down the page…). I’m working on it 🙂 Watch this space….